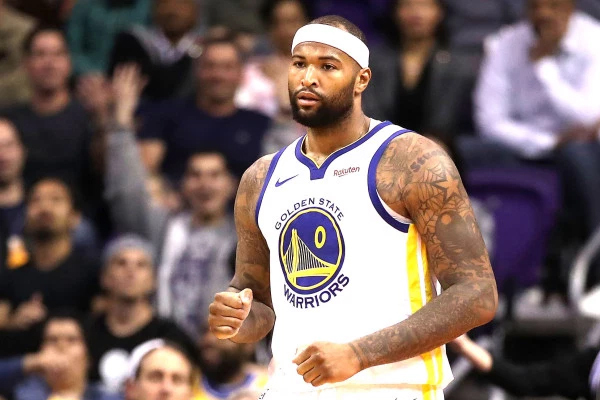 According to the Golden State Warriors, DeMarcus Cousins will undergo an MRI on his right foot. Cousins left early in the 4th quarter of Saturday’s game against the Thunder with a sore right ankle. He is listed as questionable for Monday’s against the Spurs. Cousins missed the first three months of the season while recovering from a torn left Achilles tendon. In 21 games with the Warriors, he is averaging 15.6 points, 7.9 rebounds, and 3.6 assists. With Cousins’ injury, the Warriors have shifted their plans for center Andrew Bogut’s return. He will now join Golden State in San Antonio with the possibility of making his season debut Monday.